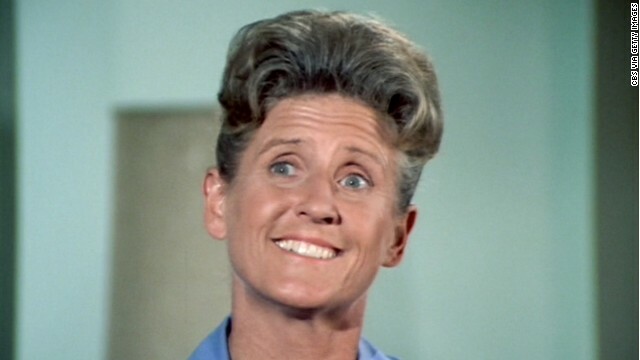 "Brady Bunch" fans say they felt they'd been raised by Alice, played by Ann B. Davis. A joyous release generates controversy. An ambitious proposal seeks a pollution solution. And a beloved TV character passes. Free at last: For five long years, Army Sgt. Bowe Bergdahl was held captive in Afghanistan, the only American prisoner of war from the Iraq and Afghan conflicts. He's coming home soon. Bergdahl was freed Saturday in exchange for five Taliban detainees who'd been held at Guantanamo Bay. Right now, he's recuperating in a hospital in Germany. For reasons unclear, he's having trouble speaking English. While the news is certainly joyous, Bergdahl's release has also generated a healthy dose of criticism from some quarters. Some lawmakers, like Rep. Buck McKeon, chairman of the House Armed Services Committee, said he was left out of the loop about the swap. Others, like former POW Sen. John McCain, want to know how America can be sure the released detainees won't fight against the U.S. again. Then there are some of Bergdahl's fellow soldiers who call him a deserter whose "selfish act" ended up costing the lives of "better" men. Philanthropist dies: A week that began with Lewis Katz's successful bid for control of the Philadelphia Inquirer ended with the ex-New Jersey Nets owner's death in a plane crash. He was among seven people killed Saturday when a private plane crashed on takeoff. Investigators won't speculate on how or why that happened. On Sunday, a small headline on the Inquirer site said "Sale of Inquirer company will move ahead." Pollution solution: The EPA will announce a proposal today that'll require power plants to cut their carbon emissions by 30% by 2030, a source tells CNN. States will have a menu of options to meet the goal, the source said. President Obama's going around Congress and using his executive authority to force the cut - his strongest action yet against climate change. Some Republicans aren't happy, saying it'll kill jobs in the coal industry. Surprise abdication: After nearly 40 years on the throne, King Juan Carlos I of Spain is abdicating. His son will succeed him. Spaniards held the King in high regard for most of his reign. But his popularity plummeted after an expensive private hunting trip to Botswana at a time when Spain's economy was tanking. "Brady Bunch" anchor dies: Actress Ann B. Davis became an American TV legend in her role as housekeeper Alice Nelson, who with her cheerful attitude and witty one-liners held "The Brady Bunch" together. She died yesterday, never regaining consciousness after hitting her head in a fall. She was 88.